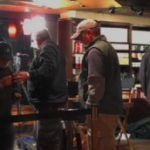 Amidst the smell of freshly percolating Ethiopian blend coffee, Go To Team’s Charleston based Baker Crew and Atlanta based Tom Wells begin their renovation of a downtown Charleston Starbucks. The goal? To convert this Java hut into a 3 camera studio complete with 20 inch teleprompter, PA system, and Mackie 1604 16 channel mixer for MSNBC‘s live broadcast of “Morning Joe“, featuring Joe Scarborough and Mika Brzezinski by 6:00am EST. The Kino Flow Diva’s are set, the talent is seated, the mic’s are hot, the wireless IFB is dialed in, and the prompter is rolling, cue talent, and we’re off!!! 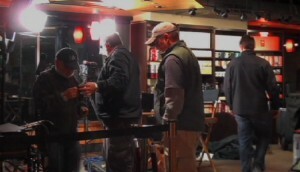 Time to strike the set and give the Starbucks back to the morning commuters. 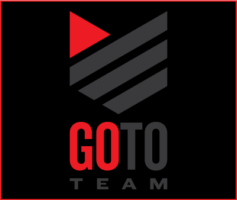 Just another day out of the office for Go To Team. We are here for you, Any Time, Any Place….and yes, we’ll bring the coffee.